We left for Eastern Washington early this morning but didn’t get over Snoqualmie Pass before the snowfall. After seeing the warning on the variable-message sign, I exited the freeway and gave myself a crash course to put chains on the tires. The road conditions had improved right before we started moving again, so chains weren’t needed after all. 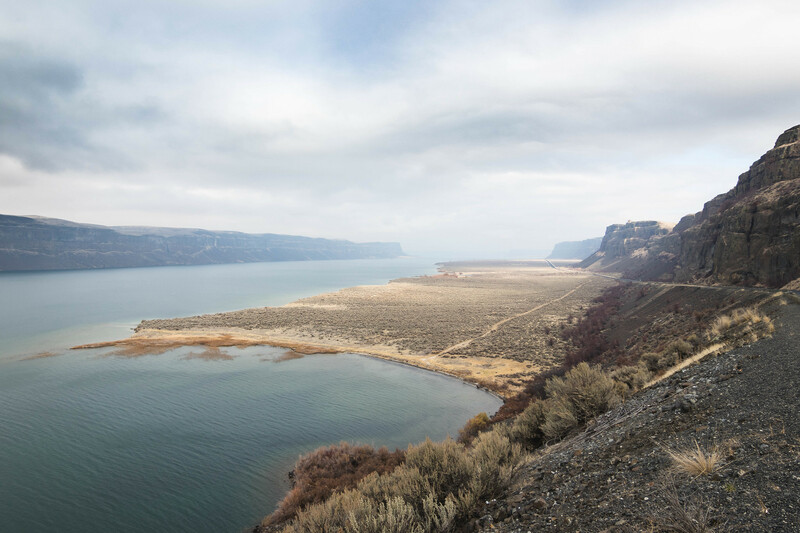 After making two more restroom stops, one in Vantage and the other in Ephrata, plus the seemingly longest driving through three lakes–Soap Lake, Lenore Lake, and Banks Lake, we finally arrived at the trailhead and started hiking at a quarter to one. One other car parked before the gated Northrup Road. Following the old road, we hiked alongside Northrup Creek through pines and aspens, and at mile 1.3 crossed the creek on a wooden bridge to the north side. We briefly walked across some talus underneath gigantic basalt columns. Another half a mile meandering through an expansive grassland, we came to the end of the road adorned with an abandoned farmhouse. 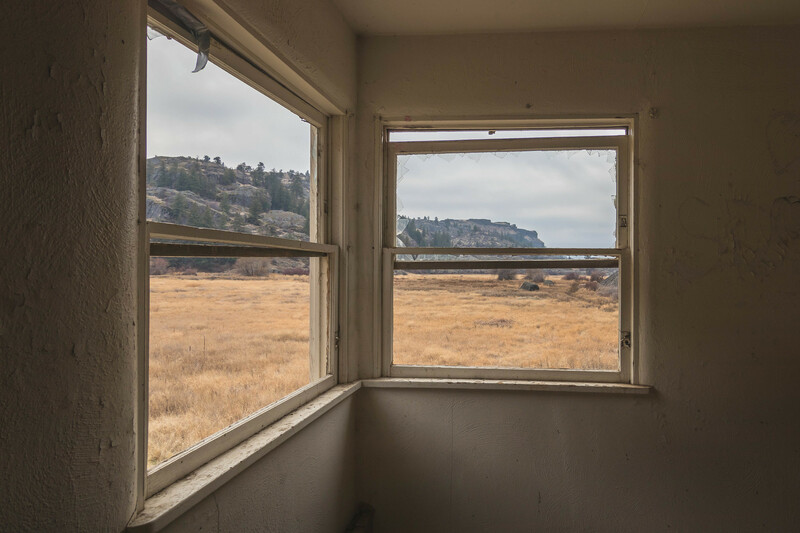 This was perhaps our first hike in Eastern Washington where we came across an abandoned structure of any kind, so out of curiosity I checked out the interior. As I walked from room to room, I couldn’t help but wonder how the original settlers got here and where they ended up moving to after the land was acquired by the state. Magnificent view of the canyon from the front of the house. 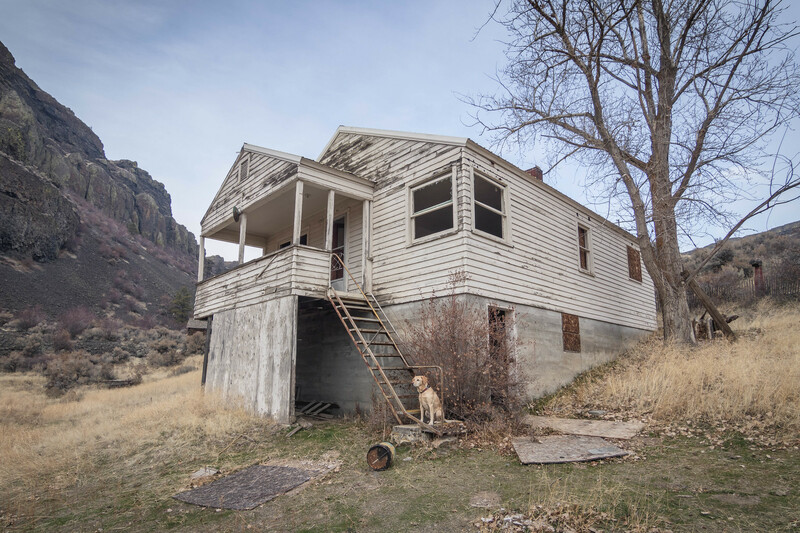 The farmhouse came fully equipped with a shed and a coop. 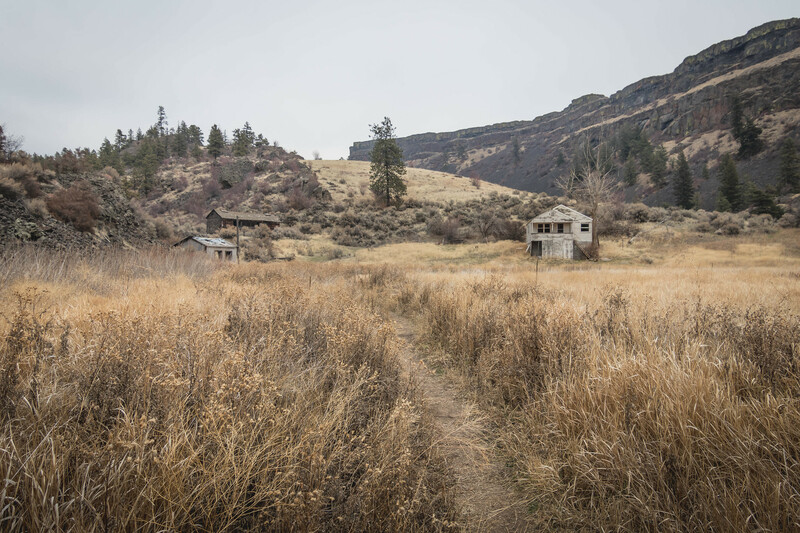 An arrow strategically placed on the coop signaled the starting of a trail leading farther north into the canyon. 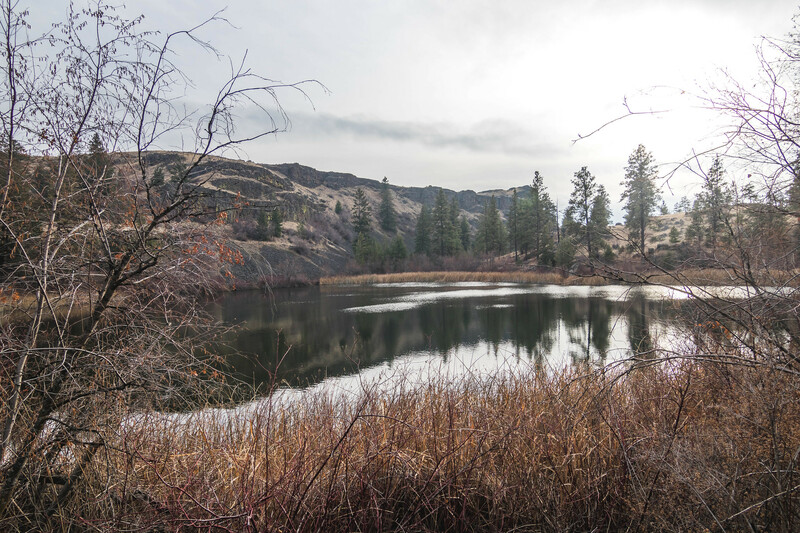 We continued and hiked on the well-defined trail for a little over one mile through pine forest and small ponds, before arriving at the serene Northrup Lake three miles from the trailhead. 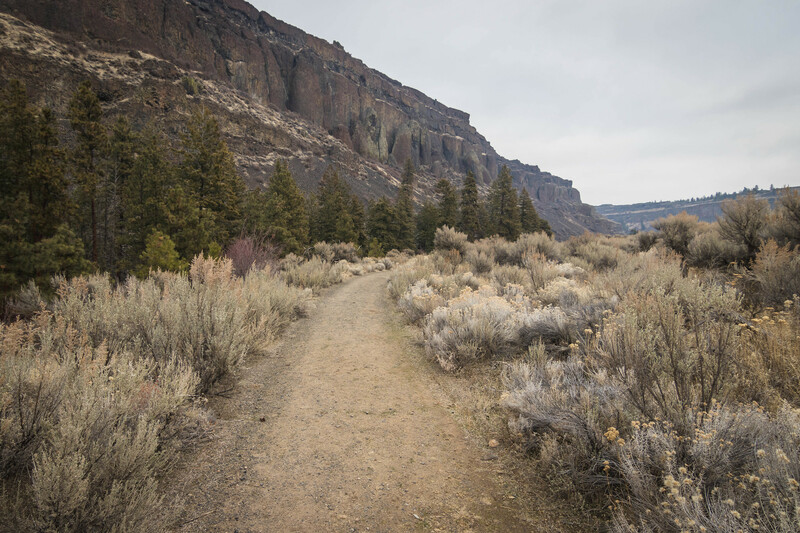 After making a counterclockwise loop around the lake to its west shore, we then followed a faint trail heading northwest toward the basalt cliffs. 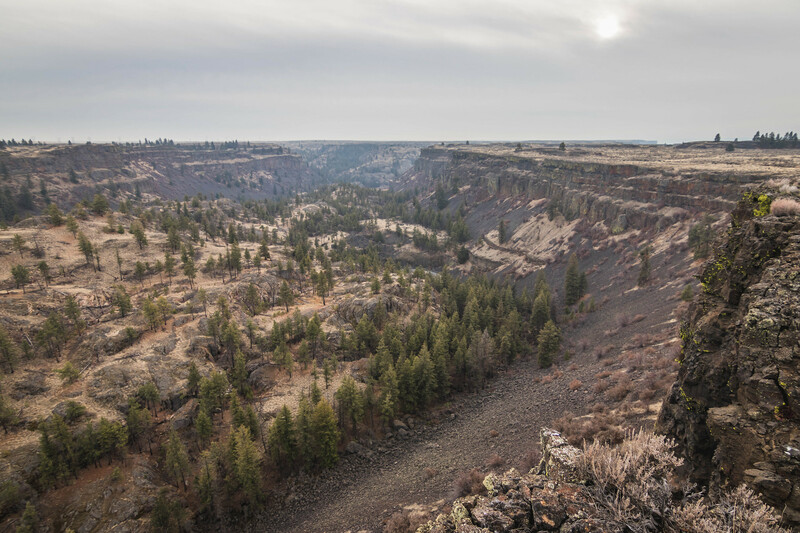 Just south the wetland, we found moderate terrain amid cliffs and got atop the west rim of the canyon on the plateau. 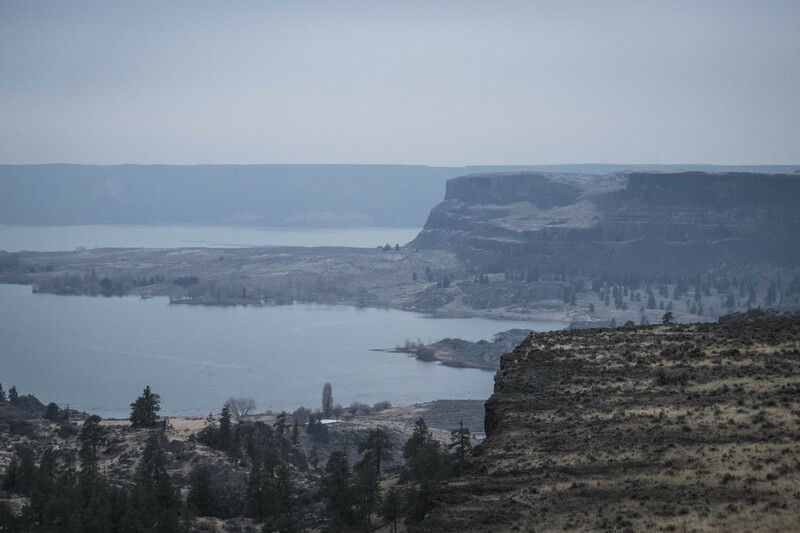 We enjoyed views into the canyon and east of the plateau while traveling south along the rim for two miles until we could get a good look at Steamboat Rock to the west. We stopped for a break on top of a narrow ridge for better views throughout. Later we exited the plateau via a notch on the southern tip of the rim and finished hiking the last mile back to the car.